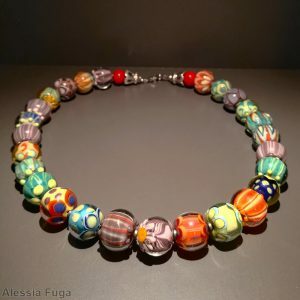 A necklace with 3 giant “Fenice” beads in ivory and clear, plus matching discs and round spacers. Do you love to get noticed? 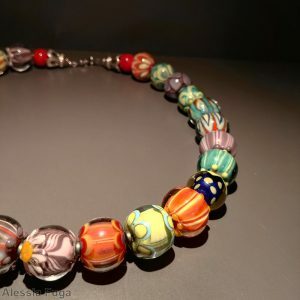 This amazing unique piece will help you to stand out from the crowd. 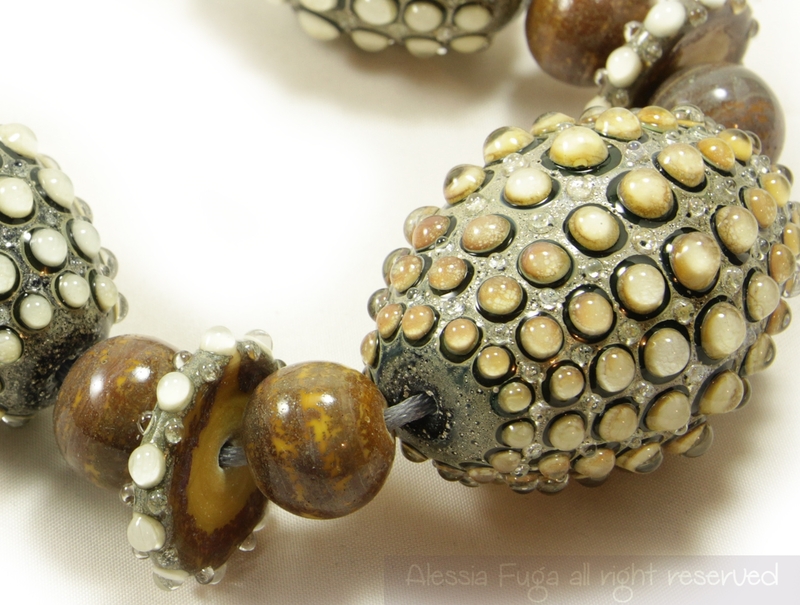 The oxidized 999 silver leaf on the base of my “Fenice” beads gives them their characteristic sparkling look. 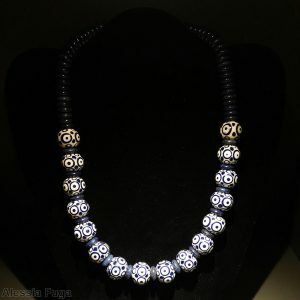 Another interesting thing about this kind of beads is that, exactly like silver,during years, they continue to react with air. 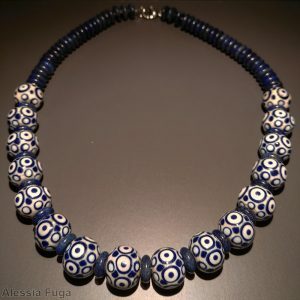 This rich blue like deep wild sea water or high deep sky and the pricise symmetrical design give to this necklace both calm and strength. 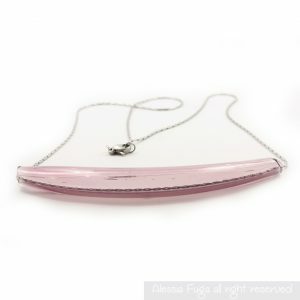 You choose what you want to say by wearing this 48cm in length powerful jewel.